What you need to do is go to the Swatch and Texture tab in S4S of your .package gile and click Export Texture. 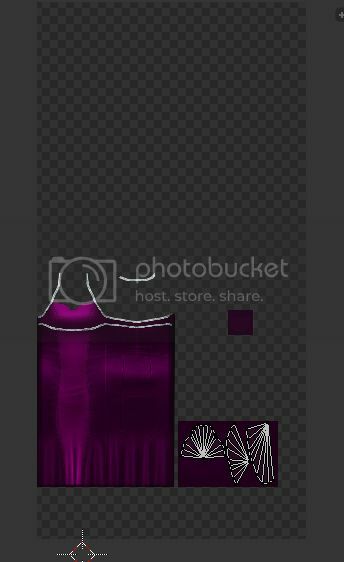 Then, in Photoshop , if you have it, (or Paint.net if you don't which is free) you need to delete the bottom part of the texture that is still showing up. Then save it as .DDS file and import it into S4S again. If you use Photoshop you need Nvidia's Photoshop plugins and delete part of the alpha channel. Any help you can give would be greatly appreciated!!! Edit: Is there any reason why I'd have to do a UV map for the two meshes I deleted all but one vertex on? And if so, how do you do a UV map on a single vertex? Or is that a completely stupid suggestion? Thanks for posting this. I'm having a little trouble with the finale of this tutorial. I tried to pull my finished product back into studio, but it did not seem to save the changes I made in blender. Do I need to export the file to a particular type? Do I need a plugin for .dds like GIMP did? Did you assign cut numbers for your mesh groups? Could you enlighten me on how I do that? Oh' great and powerful Sims Masters? VonNdaSun, Studio won't accept a mesh that has no UV map. You will have better success if you leave a triangle instead of a single vertex. The triangle should already have a map for it if it's just a remnant of EA's original mesh. If you still have problems with the mesh please post again. Sparkiemonkey, each Studio mesh has a cut number and to replace a given mesh your mesh must have the same cut number. If your mesh has no cut number Studio won't even see it to import it and nothing will happen when you try to. I wrote a tutorial that shows where this number is located in Blender and that tutorial is here: www.sims4studio.com/thread/10/tutorial-using-sims-studio-accessory?page=1. Take a look at your mesh's cut number and if that isn't the problem please post again. Thank you. I will take a look at that soon. Unfortunately, some new fun has arisen from today's patch and it seems that my mods aren't working at all. Some are even locking up the game. Soon as I figure that out, I'll get back to the tutorial! Thanks OM, that was EXACTLY what I needed! I was thinking maybe I didn't know what a vertex was, because it seemed to me that I should probably leave a triangle, but I thought that was what's called a face, so I didn't do it. My self-doubt got the best of me. I still need to try it out in game, but at least it's showing up in S4S, so I'm very happy to see forward progress! Last Edit: Mar 28, 2015 14:14:54 GMT -5 by VonNdaSun: Update to say it worked! Yay! It didn't blow up my game, so I'm pretty jazzed! But I have a little bit of a problem during the walk sequence with the extra vertices. They poke out from the dress and make a skin tone patch in the mesh. I'm guessing that if I shrink them and move them into the bocy area around the chest, they shouldn't get in the way? Thanks for the tutorial. 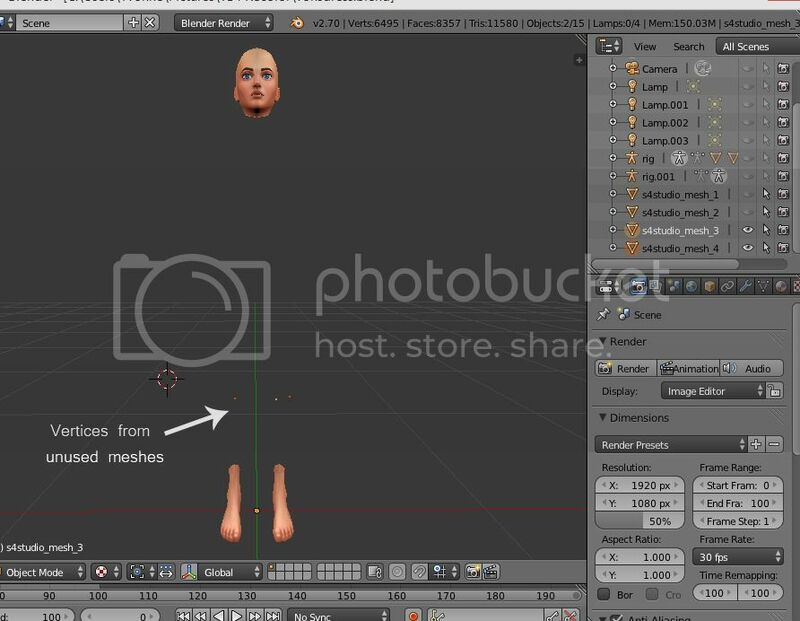 I have a question, how do I get all meshes in edit mode? hi kiara24, as far as i know you can't all at that same time, Im not the best at blender though. Thank you for responding. 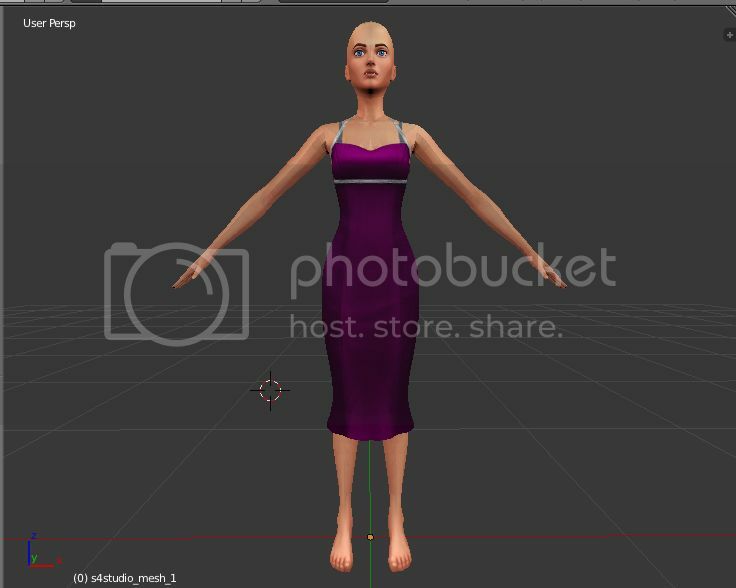 How can I change a skirt that is divided into different meshes, is there any way? Hey Kiara, the skirt that I did above was divided into three different meshes. MisterS mentioned this in thread, and Orangemittens helped explain in further just a couple of posts ago. It worked for me by using the mesh I wanted to keep, then deleting all but one little triangle of each of the unnecessary meshes. Then I hid the stray triangles inside the body. I had to experiment a bit to place them in a place where they don't pop out when the sim moves. I did most of my experimentation in the CAS screen, just picking different walks for the sim to watch for the best placement. here is the file thanks a lot.